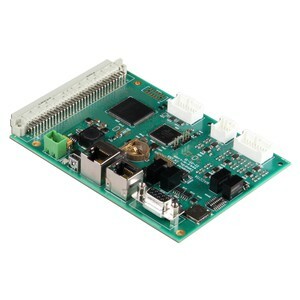 The MACC11 (µMACC) motion automation control card is designed to be a compact, low cost, controller for machine automation and/or process control applications. 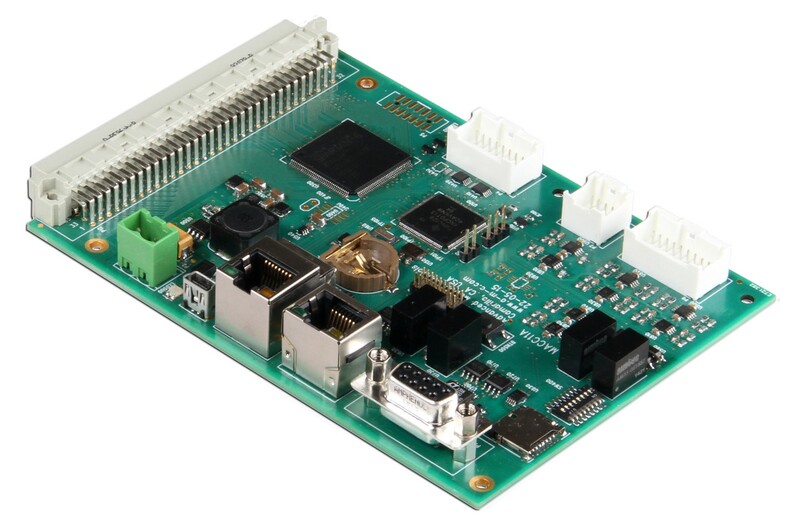 Based on firmware loaded, the MACC11 can control: up to 6 axes of servos or steppers via Pulse/Dir signals, servo drives via the CAN Bus, or 2 servo axes via PWM signals to digital servo drives. When using a Click&Move® program running on a PC, the MACC11 communicates with the user application via the RS232, RS485, USB, or Ethernet ports. If programmed in C, the MACC11 can act as a stand-alone controller. Also, application specific pre-programmed MACC11 versions are available for OEMs. High speed hard real-time applications (e.g. servo loops, data acquisition, etc.) can be implemented in the user programmable MACC11 version.